For those that are looking to build bone density and who want to get G forces to the back unlike the ones that pivot at the hips, the linear page is for you to decide on if linear (up and down only) or pivotal (the sea saw type which cancels out at the hips) is the type for you. What linear resembles, running on uneven ground. Walking on uneven trails is more like the pivotal type where your head doesn't actually bop up in the air and the back gets less than 1 G force. Running on uneven ground makes the back go up and down unlike walking. (For those that have bad backs, the linear might not be appropriate unless on low amplitude ones or ones that you can control the amplitude settings so the back doesn't get jarred. Many people are buying the wrong type and especially people that want to build bone density or pump the one way valves in the lymphatic system to flush the lactic acids and heavy metals out of the body. HOw in the #Q%@# can you build the bone density in the back if the hips are canceled out unless you lock your legs and this can be bad on the knees. No runner runs with their legs locked. It's like trying to build bone density and sacrificing knee damage at the same time. With low amplitude and speeds over 20 hertz, the linear models can generate 3 G forces to get the results that all the websites brag about but only if its comfortable or people will soon be returning the machines. I will not sell a linear machine to someone unless I believe it will help them and can explain why I think it would help. 50% of the people that call my site should be getting linear and the other 50% should be getting pivotal or spiral. Please use this page to help you decide on which type to buy. Unless it is under 200 watts and it is a linear motor AC motor, the EMF is usually really low (unless it has a lot of electronics that give off EMF instead of the motor. (some control panels are in the rail and close to the upper body and give off a lot of EMF). If a motor is less than 200 watts and EMF blocking stickers are put on the frame, there should be no problem with over Emf exposure, especially if the plate is solid steel which blocks EMF unlike some plastic frames. It seems like all the linear machines are coming down from the 5000 watt or 1000 watt ac motors to be more considerate of the those seeking lower EMF. Having a 500 watt motor, to some people seems like it is inconsiderate to those seeking low EMF exposure. It seems to take more engineering to manufacturer a motor that is uses less energy that can produce the power of the higher wattage motors. The average hair dryer can be 1500 to 2800 watts. First, I ask people if they have a bad back. Rarely people that have bad backs ever turn the speed over 50 hertz, even if it will go higher. Over 50 is usually for people that don't have a back or knee problem and can handle more extreme workouts. If the machine adjust the amplitude so that it doesn't jar the person, some people with bad backs can handle over 50 hertz. It is good to know if the machine has a high and low amplitude settings that can be easily changed. Some machines, usually the inexpensive ones, go up to 2 mm amplitude. I think that 4 mm is sufficient for most people looking for a linear platform. Some machines go to 6 mm which most people with back or knee problems would never usually want to use. Those looking for extreme workouts usually look for very high amplitudes at high speeds. When to choose pop and when to choose push. This all depends on the amplitude and how much force is behind the motor. If the motor has high amperage and has a high amplitude it has more of a pop feel and models that have a low amperage and produces less G force has more of a push feel. It is hard to build bone density if their is not enough G force. Some machines have a pop right from the first acceleration. Cheaper ones, need to generate enough power that it gives the same G force midway through the acceleration. Stronger motors give the pop feel that most people desire. When choosing a machine, the weight of the person can help determine if there will be enough G force to get results that most people are buying a linear machine for. If someone is 250 lbs or 150 lbs, sure, the machine can handle both weight but the G force will be different that the 250 and 150 lb person gets unless the machine has enough amps so that the weight doesn't make any difference on the speed and acceleration of the plate. Knowing the amperage is the first thing I look for when getting the right G forces for people that are heavier or when adding weights. When someone should not go airborne on the plate at high amplitudes. This part is mainly for people that have a bad back. Most people that have bad backs prefer not being airborne. It is probably going to be best if the plate never goes over 2 mm. Most chiropractors have in their clinics the linear machines that go up to 2mm only because they are not using them for workout out, just therapeutic purposes. The gyms owners that call me usually want a machine that goes up to 4 to 6 mm. It is best to have variable settings and not just one set amplitude as in a gym, not everyone can handle high amplitudes. It usually takes more amps to get to the amplitudes over 2mm. If someone doesn't need it, then looking for a high amperage machine would simply be overkill because the higher amperage would never be used unless the person is very heavy on the machine. 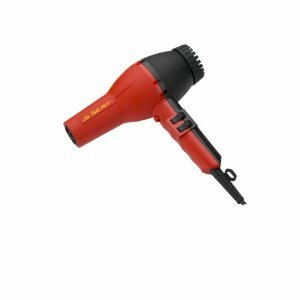 This hair dryer is 2800 watts. What is the biggest expense in a linear motor? I don't just go by the highest wattage motor. A motor can have 200 watts and 1 amp or 200 watts and 2 amps. The motor with 2 amps can be several times more powerful and more than double the price just from having and extra amp. A hairdryer has high wattage with low amps and a linear that is very expensive can have super low watts and high amperage. Based on the machines I have tested the AC motor types tend to have more wattage and lower amps in the low end range and lower wattage and higher amperage in the high end range. When the platform is very large. Not because it is heavier or holding more weight, it is because the circumference is larger. If a person stands near the edge of a single motor sometimes the motor can strain and the machine starts making a knocking noise. If doing dynamic exercises two motors is almost mandatory. When one motor tries to work all by itself when it should have two, it does not sound good and does not feel as stable. The machine should never strain to get G force. How long will you be running the machine per day? This will determine how many amps you should have. The more amps the more time per session people can use the machine and the more people per hour in a gym or clinic can use it without waiting for the motor to cool back down. This is a major problem with low amperage linear machines. Most of the Italian made motors have low wattage but higher amperage. I like the Italian made motors but they are usually too expensive for most people. To run the machine longer, two motors usually works better as long as they are not the old technology where the motors went out of synch. The people who bough the first generation dual motors quickly complained usually after a year that their machine started shaking and moved across the room as the motors were out of synch. This is when most companies started using one motor like they did previously and discontinued the dual motors on linear machines. Now the Italians made the dual motor so it doesn't have this problem anymore. There is less noise and the motors are super precise but very expensive. The dual motors usually are about 180 to the mid 200 watts. The Italian motors have a more baritone sound unlike the high pitch, treble noise of the high wattage (usually 500 to 1000 watts) that use low amperage. Take into consideration that a 200 watt AC motors is similar in power as a 500 watt DC motors. A 500 watt DC motor machine usually costs under 2000 dollars. A 500 watt AC with high amperage can cost close to 10,000. With low wattage and high amperage, this is when a machine becomes commercial so it can be used all day, such as in a gym or clinic. The 2 most powerful highest amperage / low wattage machines I have tested. Both of these brands are highly engineered but totally different. Hypergravity uses a high amperage DC motor and the Wave brand uses a super low wattage AC motor. Has just as low EMF as the DC motors due to its low energy consumption (180 watts max power which usually uses less if the person is not at the machines maximum weight allowance. With 2 motors, all the G force is not generated with one big blow at the bottom of the acceleration. With 2 motors, there is less ballistic impact but the pop (feel of acceleration) has slightly more of a push feel but still giving the feel of a pop (a quick jolt to the plate) and gives the plate a few extra milliseconds to gain the G force which takes out the jarring. ​Italian motors usually are very low wattage (100 to 300 watts) and use very little energy and make less noise since they don't have to work as hard for comparable wattage. Having a two 100 watt Italian motors helps make the machine super quiet and use very little electricity. Both machines range from around 100 lbs to over 300 lbs. Most linear machine are around 100 to 130 pounds and the one that are around 300 pounds are so rooted to the ground that its easy to tell if it is a commercial machine or not. There are some companies that put residential motors in 300 lb linear machines and it feels like the 10,000 commercial ones but you can't use them in a gym all day long like those models. The 300 lb machines that feel like a commercial machine usually cost about 3000 to 4000 including shipping that feels like the 10,000 ones in the gym. The warranty will be voided on these if it is used in a gym. Trust me, by dissecting the copper windings the manufacturer can easily tell if the motor broke from overuse, even the Italian made motors that are residentially rated. A commercial Italian linear motor machine is usually priced at 7,000 to 10,000. It is overkill to buy this just for residential use. Why do linear machines give people the "itch"? Linear machines help pump the one way valves in the lymphatic system to push the stagnant lymph filled up with toxins not just from the legs like the pivotal machines do but create a negative pressure throughout the whole body. Not just the legs but the valves in the neck, arms, back, everything is flushing. The tingly itchy feel comes from the blood vessels that become expanded that usually haven't been expanded in people that do not exercise to the point where they are exerting that much energy. Just walking slowly on uneven ground does not give most people that itchy feel. Most people that are buying vibration machines have swelling all over their body. This can either be inflammation of fluids or cellulite. All of this restricts blood flow to the body slowing the body down. When the vibration machine finally lets blood pass these blockages, that is when people quickly notice the itching. It's kinda like the opposite of having your foot fall asleep. The freshly expanded vessels feel itchy at first but after enough sessions if the blockages are gone, then the blood flow is not restricted anymore and the itchiness disappears. Many people call me that have these blockages and the people that itch the most probably shouldn't use the machine for 10 minutes at a time because their body probably cannot process the toxins fast enough. If detoxing too fast it can give headaches which is not a good way to detox. It really depends on the current body ecology of the person using the plate but those with low density and very fragile tend to like the linear machines that have air cushions so that at the bottom of the deceleration it has a softer feel, taking out more of the ballistic impact of the previous generations that did not have the air bags. Models without the airbags are still good but depending on the engineering and type of linear motor, some can feel more jarring giving too sudden of a pop which some people say is too jarring to their back. There are even some self adjusting air bag cushions in the more expensive models that will adapt to the weight of the person on the plate so its not too soft and doesn't take away from the G force. Not everyone needs a large plate on a linear platform. The people that usually prefer a larger plate are taller people who need more room when doing exercises such as squats or wide arm pushups. Some plates are so large that it has enough length for a full lunge with both legs on the plate. On most smaller plates people have to put one leg on the ground and one on the plate when doing a lunge. If doing massage, on the smaller plates they only hold part of the leg. It is nice when I can place my entire leg on the platform and get a full legs massage. So many people have inflammation in their legs and getting a leg massage for those that cannot stand on the plate for 10 minutes usually enjoy it lying down. Many people can actually touch their toes again without straining. At the end of my leg workout if I have enough time I always lay down and put my thighs on the machine to shake out all the lactic acid created when I did my leg workout. How long will the machine be run per day? Do you want to be able to have back to back sessions (over 20 minutes of continuous running time)? What's the highest amplitude you need? Do have any knee problems? Do you care if the machine has high EMF? If you haven't decided on linear, please take our WBV Quiz. This is not about how the earlier linear machines made are better or worse, it is just different. 2nd generation and first generation machines each can get the job done but the 2nd generation has more features that have came about from all the complaints from the first generation. I will give examples of all the features of 2nd gen machines that are available as of spring. I will update the list if any newer technology comes out. Frame (inner structure) Most of the models went from plastic or fiberglass to steel. The 2nd generation focuses on the inner part of the steel frames. 2nd generation models are often engineered differently to direct more of the vibration into the platform instead of vibrating the base so the floor doesn't absorb the energy. Some inner frames have high density insulation too. Having dense insulation ear the motor helps control the vibrations going to the floor. Having dense insulation near the motor helps control the vibration to the plate and not to the floor. Dense insulated motors also helps to control noises people have complained about. Springs are louder than rubber springs. Rubber springs are less noisy than metal springs although they don't last as long. If getting rubber springs, and a person is 180 lbs, I would get a machine rated for at least double their weight so that when the rubber loses its suspension it still will not bottom out after 2 years or so. AIR suspension can hold over 500 lbs to 1500 lbs. Air can hold a lot more weight than a spring suspension platform. WaveExercise.com was the first company to come out with the air bladder system a few years ago. I believe in a few years most of the companies will start switching to the air suspension as the price gets lower. It's been about 2 years and only one company has switched. The cheapest air bag models around 9 to 10 thousand so it pretty much leaves 99% of the market to the spring systems because of the price. The air suspension machines have totally different components than a spring model. There are at least 3 times as many pieces that make the air bag system work. They are made similar to the German airbags you would see in fancy sports cars. The air bag systems are made in Germany and have to be imported so that makes it a little pricey too. It's not just an air bag under the plate. It actually inflates and calibrates to the users weight so the air can fill up enough to the weight of the person to deliver the same G force for every weight on the machine. It also has to have a container so it can deliver pure vertical vibration. It helps so that the plate goes directly up and down and cuts down on the friction of the plate which some of the earlier models gave. All I will say is that newer models that have dual motor motors that came out after in the last few years (not the original type) should be ok and not have the problems of first generation dual motor machines before the problems that scared everyone away from having both motors. If getting 2 motors, make sure that they are engineered to stay in sync. What type of suspension are you interested in? Do you have any swelling or inflammation? Are you interested in a machine that will build bone density? How do you plan on using your vibration machine? Have you compared the difference between linear and pivotal vibration? After testing the spring based models and air based models at 30 hertz, there is definitely a difference in feel. Air is not better but different. Their is definitely a difference in noise at 30 hertz and even a bigger difference at 50 hertz. Their is a totally different ballistic impact with the air but at certain speeds and certain amplitudes have to sacrifice and increase the amplitude just a little higher with the air to get the same G force on the time between the deceleration and the instant of acceleration. At 4 mm amplitude on the air and spring there is also a difference in the ballistic impact. Some people will prefer air and others will prefer the springs. Based on the quiz, I can usually tell which people will prefer which. Those that are working out vs those that want to move lymph or build bone density who already have low bone density will almost always prefer one over. Fortunately, I won't work with any companies that wont put in writing that they will let my customers try a machine for at least 30 days and let them return it. Most of the companies will not charge a restocking fee either. If someone buys two machines, I want the returns because most companies will give me a price break if I take the return and discount it under my normal wholesale price. Usually the locals will pick these models up or I will ship it out of state as a demo model if I haven't sold it locally. Again, I don't charge restocking fees because most manufacturer's subsidize the price for me as long as I take the return. Coin test: At 30 hertz, there is also a noticeable sound difference in the sound of either keys or coins in my pocket on the air and spring suspension models. This is at the same hertz. This shows that even at the same frequency and amplitude, the G force and ballistic impact is different. I will have a video up of this shortly. EMF: the air bag systems seem to have a lower Emf over the spring systems at the same hertz. The Italian motors work on lower wattage and the other motors I tested it against were standard 500 watt motors. I really didn't have a motor that was low wattage that I could compare to the air suspension systems. Jello- I did the same thing as with the keys and coins but with Jello. The spring models seemed to break up the Jello up a little faster. Pole vibration: Of all the linear machines I have tested (this does not apply to pivotal vibration), any machine over 200 lbs does not vibrate the pole which has the control panel. Machines around 130 lbs usually don't rattle the pole until at the very high speeds. 100 lb or less with low gauge steel usually vibrates the pole in the mid speeds and makes it hard to see the control panel while it the machine is vibrating. 50 lb machines... forget it. I'm lucky if the machine doesn't move across the room and the plug doesn't come out of the freaking wall. Talking about unwanted vibration, using the right linear machine can mean the difference between giving me a headache to a smooth vibration that is very soothing to all the joints and doesn't jar the body and give that jackhammer feel that linear machines have a bad rap for because so many buy because the machine either has the wrong horsepower, gives off too much EMF, a pop feel on the acceleration or a push feel. Getting the wrong size plate or motor that is over or under powered can make someone return a machine the day after they buy. The new, 3rd generation Vibe Plate is super quiet and is my favorite machine for those who want vibration therapy who have bad backs. The Vibecage is the newest addition. Breaking up fat/cellulite blockages is no problem with this. I prefer a less noisy motorI prefer a quieter motorI don't care.